Maybe you fancy getting off the island for a few hours, maybe you don’t want to spend a full day snorkelling or maybe you have young kids and just want them to be able to paddle in the water and see a variety of fish. 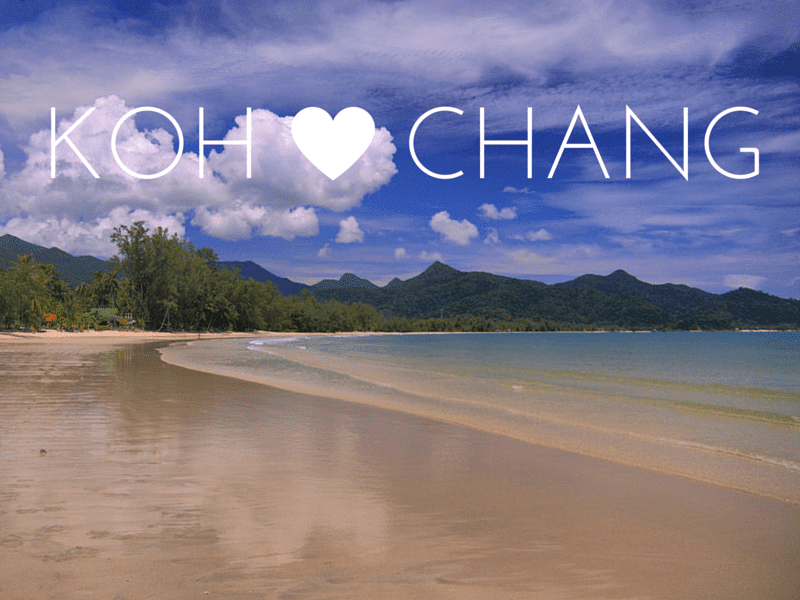 If so, then taking a quick trip to Koh Wai is something worth doing. Most of the full day snorkelling trips from Koh Chang include a stop on Koh Wai in mid-afternoon, so on the face of it there’s no need to take a special trip to visit the island. However, as most boats arrive at around the same time, this means that around 2-3pm the beaches can get packed. The good thing about the half day trip is that you avoid this. You’ll arrive on the island around 10am and the boat will pick you up again at 1pm. So, apart from guests at the four resorts on the north coast of the island you’ll have the place to yourself, you’ll have the place to yourself. There’s only one large resort, Koh Wai Pakarang, and this has electricity 24 hours a day, so is a good place for an ice cream or to use the internet. The three other resorts are ‘Good Feeling’, as whose pier the boat will stop. ‘Koh Wai Paradise’ bungalows which are on the beach to the left of the pier and ‘Grand Mar’ bungalows which are to the east of Pakarang. A footpath runs along the north coast of the island from Paradise to Grand Ma and beyond. Follow this east if you want to get away from people and find a private beach. The service is run by Bangbao Boat, who operate boats from Koh Chang – Koh Wai – Koh Mak – Koh Kood. Buy tickets from any tour agency for the Half Day Snorkelling T rip to Koh Wai. Ticket price is 500 Baht/person. Including transfert to/from your hotel, mask & snorkel and a 50 Baht voucher you can use for food / drinks in the restaurant at the pier on Koh Wai. You can also do the trip by speedboat for an extra 100 Baht.